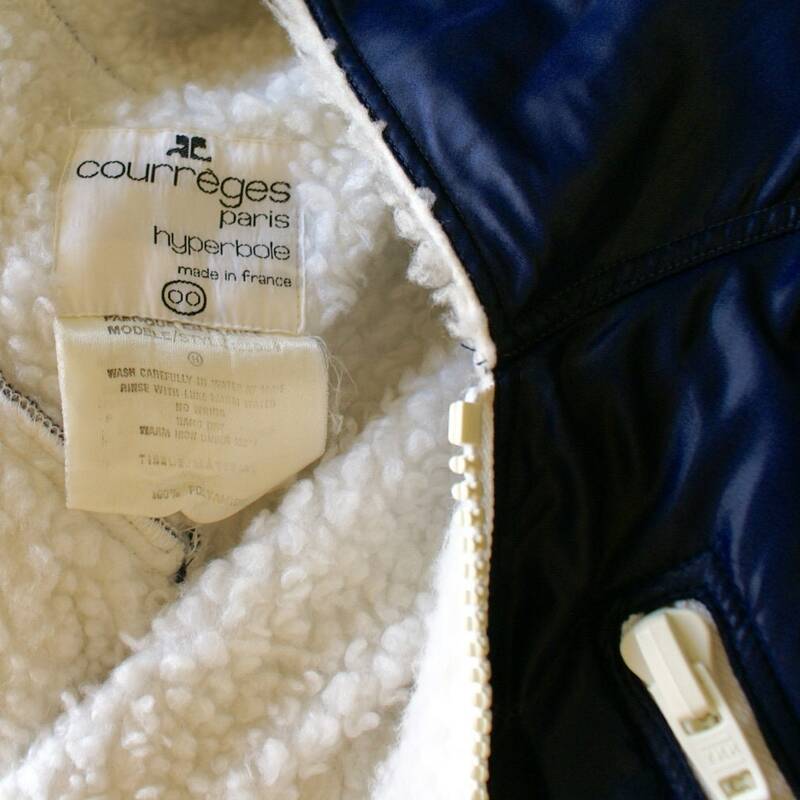 Very nice jacket Courreges zipped from the 70's fabric blue with belt and inner wool Terry White. Very nice cut with the hood. Very stylish! Very Courreges! Size 38.